This modern, top-notch slot comes straight from the “kitchen” of a well-known developing company, NetEnt. That stands for Net Entertainment and they sure do entertain with their extensive game collection that counts over 200 high quality games! It was founded back in 1996, now owns several major offices covering several European countries plus the one in the USA. Over the course of 20 years they’ve shown real quality and they can boast with some serious names in the world of online slots, such as Gold Rush and Jackpot 6000. This thrilling, yet amusing online video slot comes with a true innovation, there are no paylines, but payways and no more, no less there are 243 of them spreading across 5 reels! The theme corresponds to the title, in the background one can see the perfectly graphic rendered undead pirates. Symbols follow the title, too. Sound effects representing a squeaky ship gliding across the ocean complement the whole experience during the game itself. Every element of the game is so realistic. So, as for the first impression, a really good job! It can be played for free without download and registration from many countries, including the UK, the USA, Australia, etc. As for the symbols, there are overall 12 of them. There are 10 regular ones plus the wild and the scatter. Among those ordinary ones, one can notice 6 lower paying and 4 higher paying tokens. Focus on the Peggy Rotten and her loyal associate, one-eyed Ed, the monkey and the parrot, they carry larger prizes. All the symbols are perfectly rendered and displayed in 3D. Their design follows the title of the game and one can come across a compass, a map, guns, cannons and such. The wild icon is illustrated as a pirate’s skull, exactly the same as the one between the title words. It has the ability to substitute all of the symbols, except for the scatter, in order for a bettor to complete a winning combination more easily. It can’t form a winning combination on its own. 5 scatters – 20 free spins plus 50 coins. The free spins feature comes with a 3x multiplier for all prizes won while it is active, which can come useful in your mission to score some serious payoffs! Unfortunately, the mobile version of Ghost Pirates online slot hasn’t been released yet. A desktop/laptop version supports Windows, MacOS, and Linux and it can be played through the internet browser. For all of you interested, go to Money Online Slots and search for this amazing pokie! Or you can also go to slot provider’s webpage. While aiming for the biggest prizes, one should be looking for higher paying regular symbols as well as those free spins because they come with a 3x payoff multiplier! Peggy Rotten token is worth the most, for 5 of them placed on the reels one would score a jackpot of 1500x his wager! The second comes to the one-eyed Ed which carries a payout of 1000x player’s bet if there are 5 of them landed on the columns. Mad monkey has the biggest prizes of 500x bet and the parrot carries a slightly lower maximal payoff of 400x one’s wager. 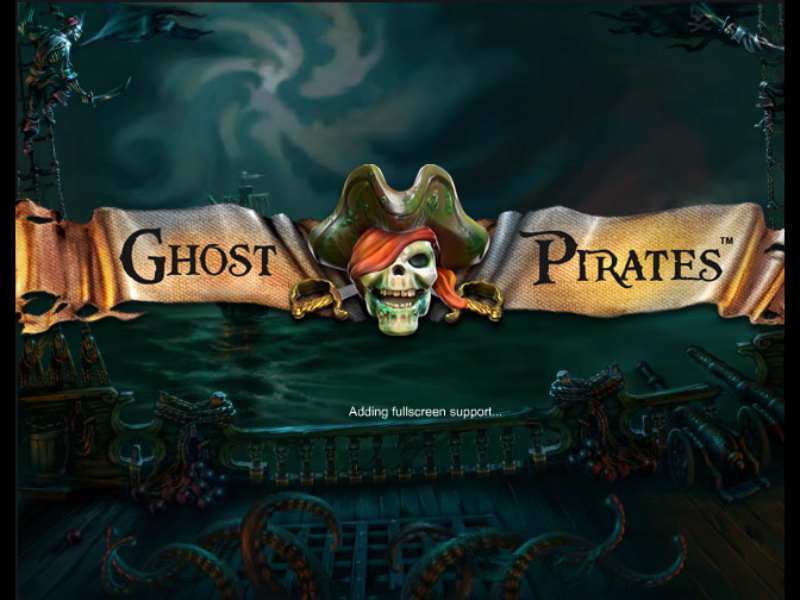 If one feels eager to play free Ghost Pirates casino slot machine, all rules about symbols and the payouts they carry can be found under the paytable option. In a nutshell, Ghost Pirates slot is a definite yes because of its astonishing and modern design, a simple to use interface and last but not the least, phenomenal 243 ways of scoring a payoff! For enjoying this amazing game, or games similar to this, such as Vikings Treasure, one can visit Money Online Slots, where he can play for real money, too. 0 responses to "Ghost Pirates Slot"